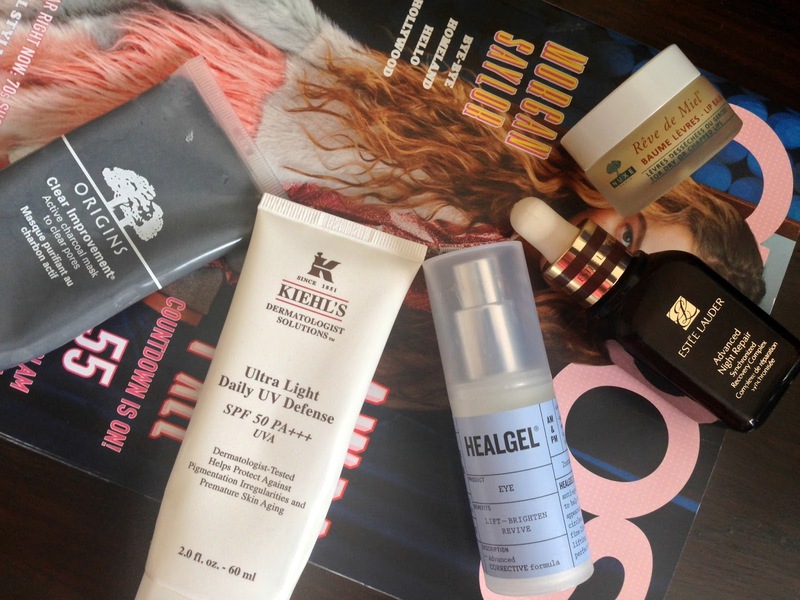 Guest Post - Hyped Skincare Products Which Are Worth It! Happy Saturday :) Hope you are all doing well? I have been super busy in work today, but now I am looking forward to a nice relaxing weekend, which for me is going to be Sunday/Monday. Today, I'm back with another fantastic guest post from the lovely Kal from Cluttered Closet. I have really got into guest posts recently and I'm so glad, as there is nothing more I love than helping other bloggers by supporting their work! Kal is a fantastic blogger and her post below is amazing, so share the love and check out her links below! If you would like to guest post for me in the future, then please leave your comments down below. Hope you enjoy today's post lovelies and have a fabulous weekend! If you are a beauty lover, you will know how easy it is to get sucked into buying a hyped up product. It usually takes a few reviews from bigger beauty bloggers, supplemented by some smaller bloggers who you trust, to get you to pop those usually expensive skincare products into your shopping baskets. I have had several experiences where those products have not lived up to the hype, which I will save for another time. My name is Kal and I write a beauty blog called Cluttered Closet. India has given me the opportunity to guest post on her blog, so I'm going to give you a quick guide to the hyped skincare products which I think are worth trying out. For your reference, I have combination skin which is prone to the odd breakout or two. Origins Clear Improvement Active Charcoal Mask (£20.00) : When I first started getting into skincare, this was one of the products I instantly purchased. There's something about the words "charcoal" and "mask" being in the same sentence that I love. Probably because I love the thought of my pores quivering at the thought of being clarified to within an inch of their lives. This mask is expensive in comparison to some of the drugstore alternatives but is a must have for pamper evenings. I have found that the ingredients in it work well to give a thorough cleanse and leave your skin feeling clean. The Origins Clear Improvement Active Charcoal Mask does all of this without leaving your skin feeling tight. I would say that if you are on the more drier side, this is probably a little too much for your skin- a good alternative would be the REN Invisible Pores Detox Mask which is also a good 'un. A full review of the Origins Clear Improvement Active Charcoal Mask can be found in this post: but be aware that it was one of my first ever posts so forgive my poor photo! Kiehls Ultra Light Daily Defense SPF50 (£31.00) : This is probably the most hyped up, and expensive, SPF 50 product out there. Last year saw a surge in the bigger bloggers promoting this. Having been victim to a few dud hyped purchases before, I was hesitant to pay the money for this at that time. When I did some research into hyper pigmentation, which I suffer from, I found out the importance of using an SPF all year round. I am the most risk averse person out there so, to me, it has now become imperative to wear factor 50 all year round. If you suffer from oily skin, you will know how hard it is to find a facial SPF that does not clog up your pores and break you out. This offering from Kiehls is light and does not block up my pores. It is perfect under makeup and does not leave a horrible white cast. It is always refreshing to know that a product does exactly what its long winded name is telling you it will do- this one is definitely light and does give full sun protection. If you are still hesitant about purchasing this practical but amazing product, then I have done a comparison post with the SPF that is branded its "high street dupe" here. HealGel Eye (£32.00) : Hands up if you suffer from dark circles or fine lines? This eye cream may expensive but it is by far the best eye cream I have used to date. The reason being that it does something towards fixing up those dark circles of mine. My under eye luggage, unfortunately for me, is hereditary and linked to my iron deficiency. This means that there will probably never be anything that clears them up completely. I have tried numerous eye cream in the past that claim to address concerns such as dark under eye areas, fine lines and puffiness- but they have not delivered. HealGel Eye, formulated by plastic surgeons and scientists, helps hydrate the area under your eyes and I have been using a little less concealer than I would usually. Again, it sits beautifully under the skin as it has a lightweight texture. If mild under eye darkness is a concern for you, or you are looking for something to really plump up your under eye area, then this one is a definite must try. If you need more convincing to part with your money my HealGel Eye Review may just sway you. Nuxe Reve De Miel Lip Balm (£9.50) : Lip balm has always been a staple for me since school. I've been around a bit when it comes to brands- Blistex, Carmex, Vaseline, RAW, Chapstick, Palmers...you name it and I've used it. Since trying the Nuxe Reve De Miel I have never looked back. This lip balm, whilst it may seem expensive, is a night time saviour. With its fresh citrus smell and matte texture, the Nuxe Reve De Miel is the perfect lip mask to use at night time and a winter must have. As I have slightly bigger lips, I find they get easily chapped and can become very dry. This helps moisturise and nourish my lips well and is worth investing in. As you only need a little amount, it also lasts you ages. You can read more about the Nuxe Reve De Miel in my post here where you can find out where I got mine for a little less than the RRP. That eye gel sounds awesome! I always hate my dark circles, so I can't wait to try that! This realy very informative guest post about skincare Products. But recently I see skincare oil on an online shop. It is natural product of skin then I decided to use it. Its name is skine care bio oil. After using it my skin becomes soft and smother. It is miracle for me because my skin is very rough. I suggest all girls who facing roughness and dark heads on skin try to use it. It can easily be buy from onine shop in pakistan. Hourglass Ambient Lighting Blush "Dim Infusion"